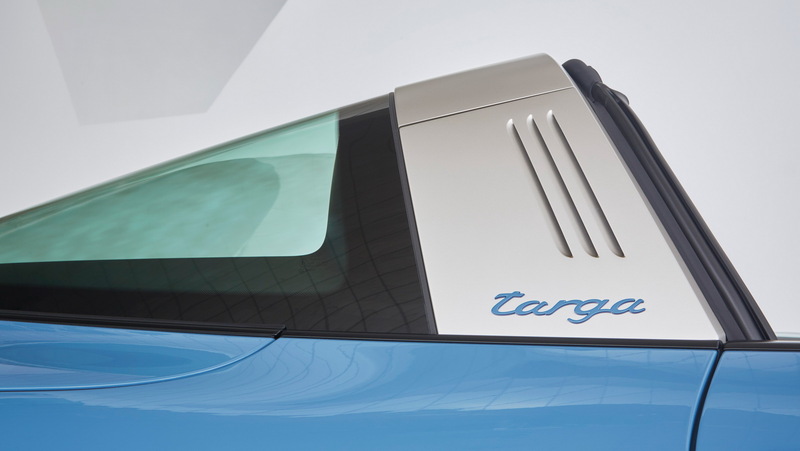 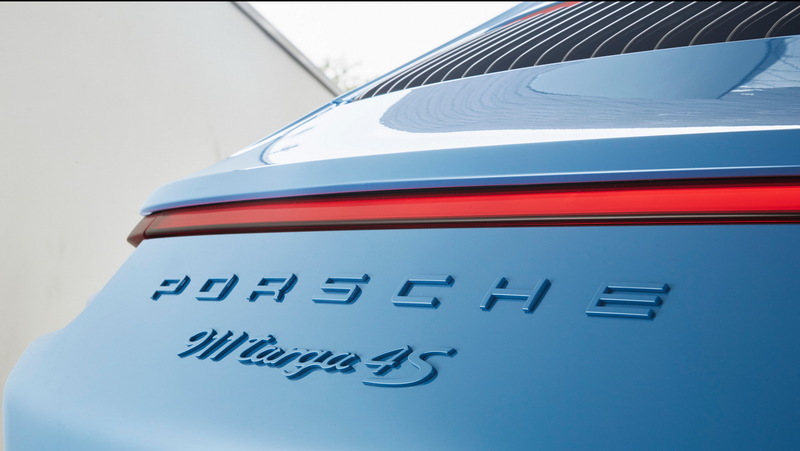 One of the most discussed models in the Porsche family when it made its first appearance a few years ago, the controversial 911 Targa, has been further refined by Porsche Exclusive. 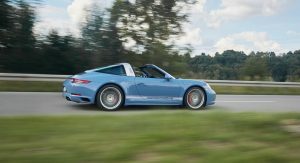 Out in time to make its appearance at the AvD Oldtimer Grand Prix, between August 12 and 14, the “modern classic in the 911 range”, as the Germans from Porsche refer to it, sports an Etna Blue exterior color, which used to be the standard shade for the 356 B T6 in 1960 and 1961. 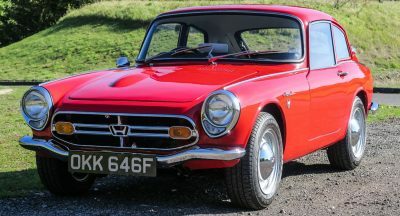 Most of its exterior details are painted in the same color, including the front spoiler, headlight washer covers, rear apron and Targa logo on the bar, while the smoked LED headlights and some elements painted in White Gold Metallic provide an eye-catching contrast, along with the 20-inch RS Spyder wheels. 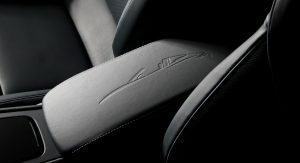 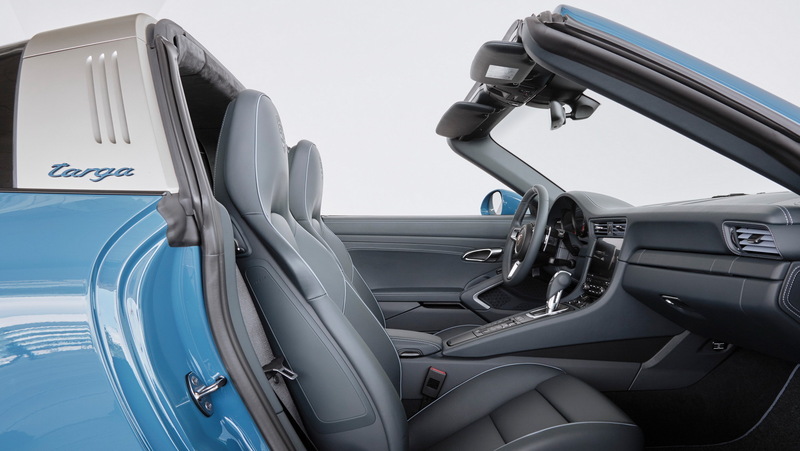 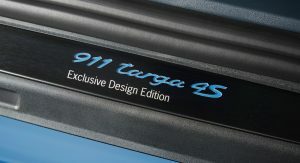 Black anodized stainless steel door entry guards, graphite-blue leather, adaptive sports seats plus with 18-way adjustment, Porsche logo embossed into the headrests, 911 Targa silhouette adorning the cover of the storage compartment in the center console and “Porsche Exclusive Manufaktur” on the trim of the dashboard, along with decorative stitching, will greet those who will step inside. 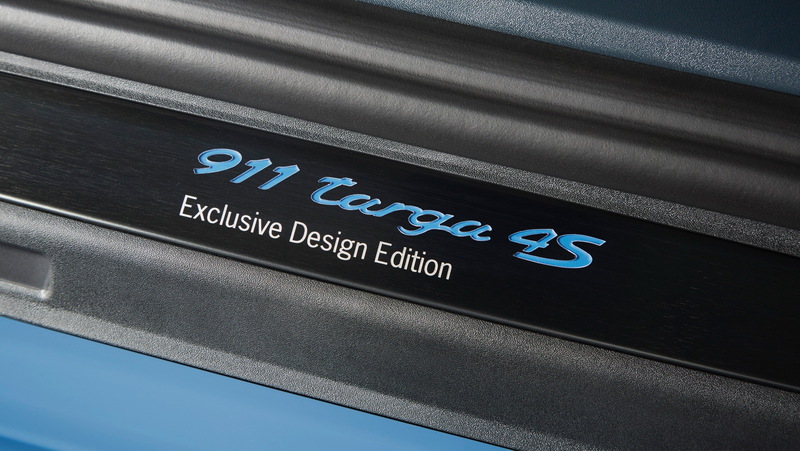 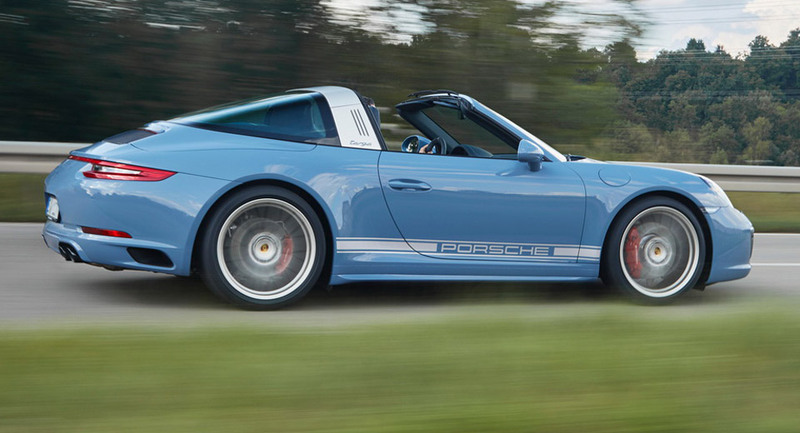 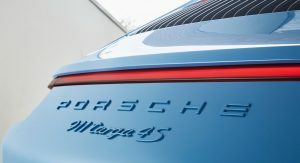 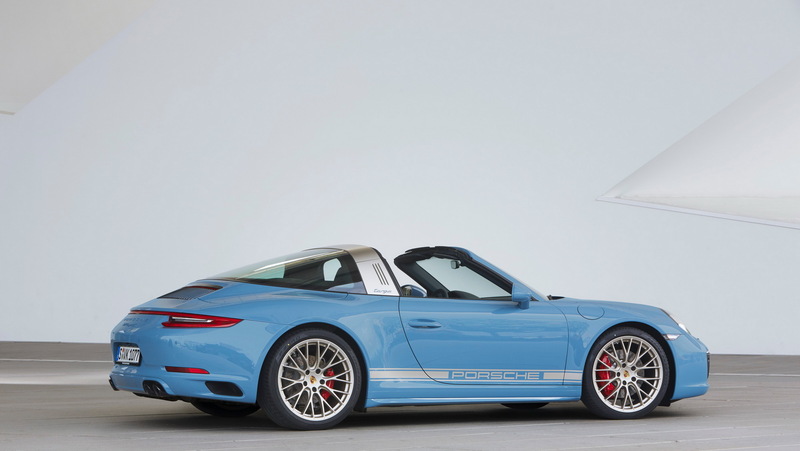 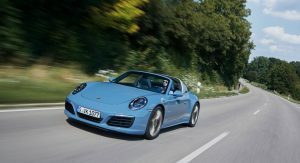 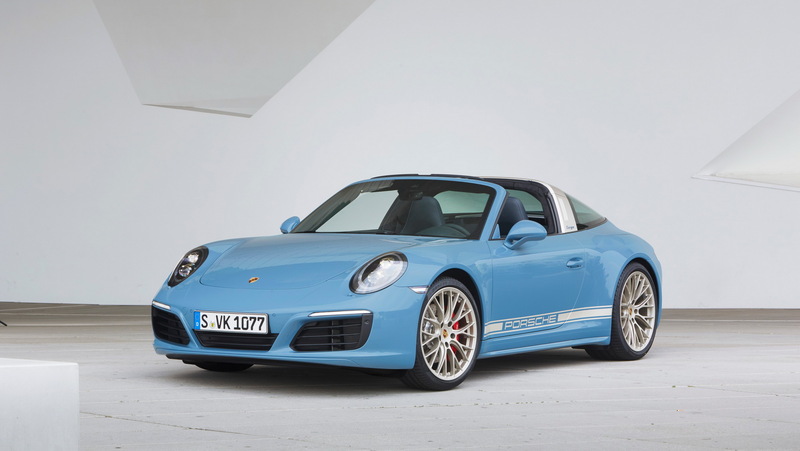 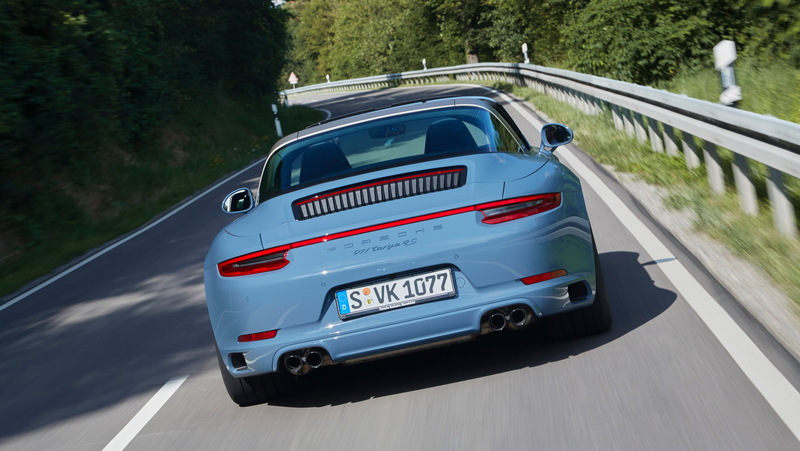 Billed as a “collector’s item”, the Porsche Exclusive 911 Targa 4S Design Edition is powered by a 420 HP bi-turbo boxer engine, which emits between 184 and 208 g/km CO2 and needs 8.0-9.0 lt/100 km (29.4-26.14 mpg US) of fuel.